I am not sure who put together these statistics, but I found them in a pile of my parents papers. 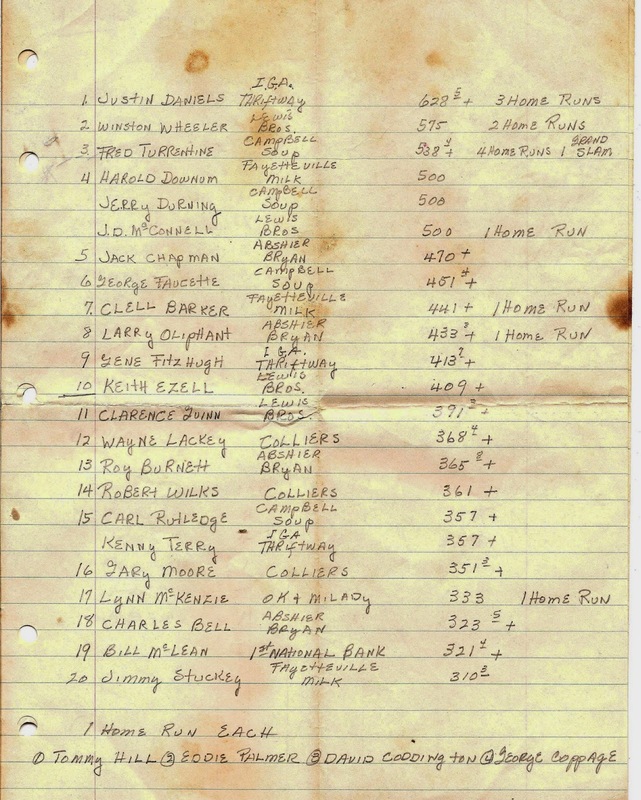 One page shows the top batting averages for the 1959 Babe Ruth League. 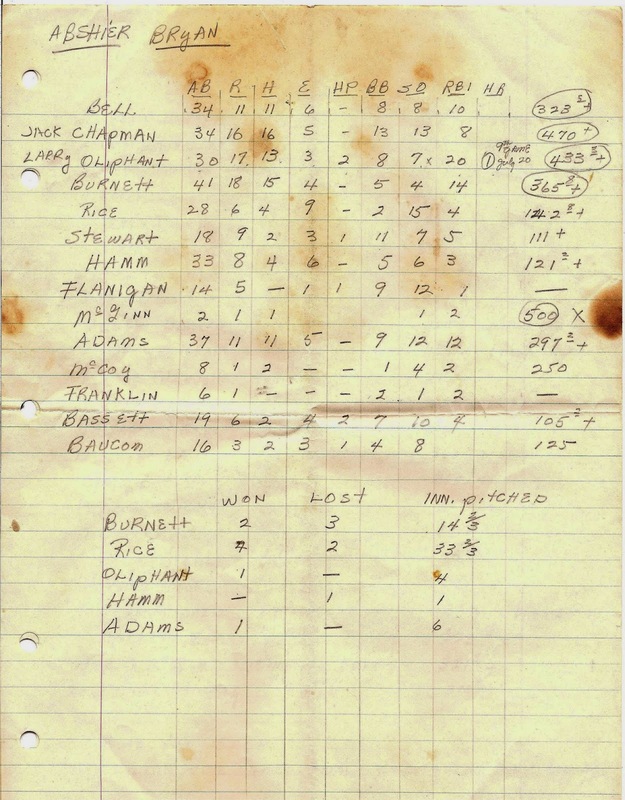 The other page has batting and pitching statistics for the Abshier Bryan team. It seems that these statistics might be for the entire season: the Abshier Bryan statistics show that the team had won 8 games and lost six. The names on these two sheets include many players that I looked up to. At the time I was 12 years old, in Little League, and I had been watching these older players for years. Many of them, I knew from neighborhood games at the baseball field at Jefferson School. Two of the players with the highest averages were my cousins. Justin Daniels led the league with a phenomenal .628 average. He had three home runs. Jerry Durning had a .500 batting average. Other familiar names on the list of top batting averages, Winston Wheeler, who lived on S. Washington Ave, near my cousins Justin and Morris, had a great record collection and was a fan of Ronnie Hawkins; Kenny Terry, who also lived on Washington Ave not far from Justin and Morris; and J.D. McConnell and George Faucette, who teamed up with Justin to make Fayetteville a formidable basketball team during the 1961-62 season; and . Several on the list were only a year or so older than me, and i played baseball, basketball and/or football with them in coming years, including Robert Wilkes and Harold Downum.